The Best English Translation. It is clear, easy to read, and most faithful to the Arabic Original. It uses today’s English language, and today’s English vocabulary, and is easy to read and understand. The flow is smooth, the sentence structure is simple, the meaning is clear and accurate. READ QURAN. This edition uses the word “God” to refer to the “Creator”. You are free to use, share, and distribute these files. Creative Commons License. Attribution + NoDerivatives. 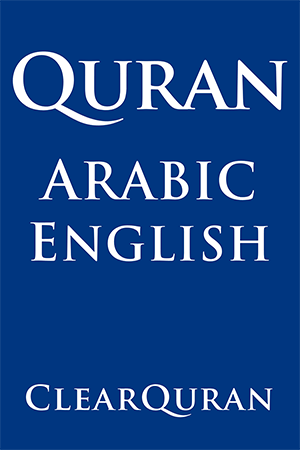 This edition uses the word “Allah” to refer to the “Creator”. God is the Creator of the Heavens and Earth. He is the Supreme Being, the Originator of all Things, the Compassionate, the Merciful. He is God, besides whom there is no other god. God is the Forgiving, the Almighty. The Quran is the Word of God, revealed to the Prophet Muhammad, for the benefit of the Human Being. The Quran contains guidance, mercy, healing. The Quran is beyond doubt from the Lord of the Universe. 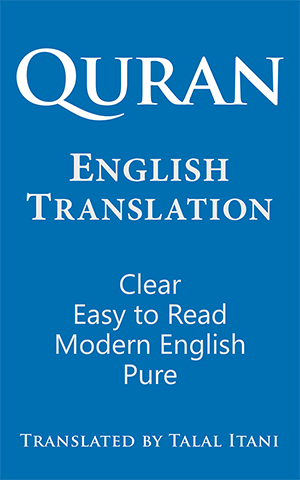 ClearQuran translation is clear, pure, and easy to understand. The meaning is highly accurate, the sentence structure is simple, the flow is smooth. The translation has no interpretations, no explanations, and no footnotes. It is purely a translation, from the Arabic language, to contemporary English. Talal Itani is an electronics engineer, software developer, and writer. He was born in 1961, in Beirut Lebanon. He immigrated to the United States when he was 18, seeking education and peace. In 1983, he graduated with a Master’s degree in Electrical Engineering. After a few years of employment, he founded a research and development company, which quickly became successful and renowned in the field of telecommunications. Talal first encountered the Holy Quran in 1992. He studied and researched the Quran for 15 years, then decided to translate it himself, into clear and easy-to-read modern English. The translation, which he published in 2012, is praised as pure, clear, and highly faithful to the Arabic Original. Talal currently develops software and maintains ClearQuran translation. He lives in the United States, is married, and has two adult daughters. I was born in 1961, in Lebanon, and was raised in a Muslim family. I came to the United States at age 18, seeking peace and education. I graduated in 1983 with a Master’s degree in Electrical Engineering. After a few years of employment, I started a research and development company, which quickly became renowned and successful in the field of telecommunications. My life was very secular, and my home was very secular. I married in the United States, and I had one daughter. Everything in my life went very smoothly and very well, until I suddenly felt bored with everything. What I had strived for was not satisfying. I felt lost and disappointed. As a result, I started reading books outside the field of Electronics, hoping to find fulfillment, hoping to find my purpose in life. Somehow, the Quran landed in my lap, in the form of cassette tapes. I would listen to the Quran while driving the short distance to work. Soon after, I noticed that I was lengthening the drive, in order to give myself more listening time. The Quran was not what I was expecting. I was expecting tribal warfare and family feuds. 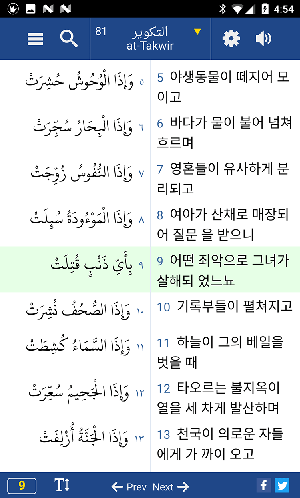 Before that, I was very ignorant of what the Quran contains. 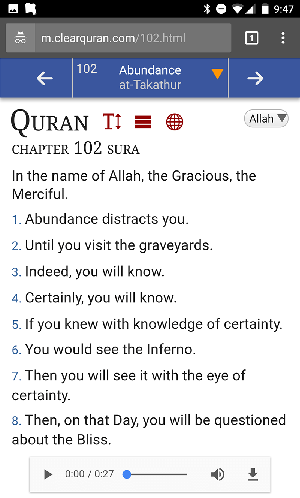 The Quran surprised me. 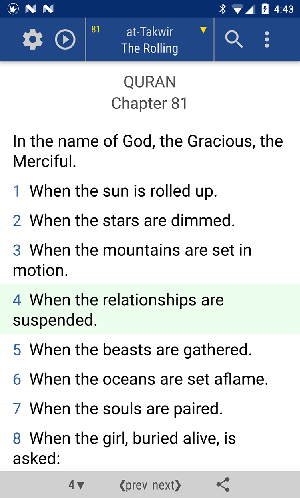 The Quran more than surprised me. The Quran stunned me. Later I acquired a printed copy of the Quran, but unfortunately, I understood very little. Therefore, I bought an Arabic to English dictionary, and started looking up words, hundreds of words. Then I bought a pocket cassette player, and started listing while at home, and while walking. I was so eager to understand, to know, to learn. The Quran gave me so much, and I wanted more. It gave me purpose, and satisfaction, and fulfillment, and strength, and clarity. It revolutionized my inner-self, and soon after it revolutionized my entire life. Then I bought the translation to English, and spent hours, and days, and months, studying it, and linking the Arabic text to the English text. I naturally felt the need to convey the Quran to others, especially to the people around me. After giving a few copies to others, I realized that the best way for me to convey the Quran, was to put it in my mind, and then speak it to others, and act it to others, and write it to others. That only fueled my need to learn more. By that time, I had the Quran in all sizes and shapes, and every English translation. I would have email discussions with people of other faiths, especially religious people of other faiths. I would convey the concepts I found in the Quran, in my own words. I would quote for them from the English translations. Soon after, I saw myself translating, before quoting. I wanted Islam to be my full time profession, but I realized it would not be possible. I wanted to go to Islam school, but I realized it would not be possible. My desire to learn overcame the obstacles. I taught myself. 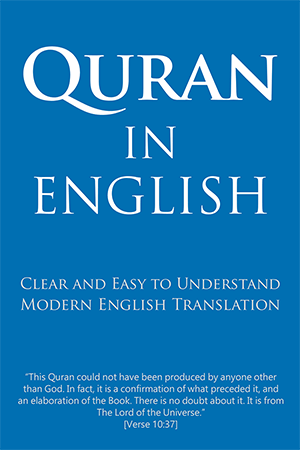 I always searched for a clear, easy to read, and accurate English translation of the Quran. A translation that says exactly what the Arabic says, with the same clarity, yet in the English language. Unfortunately, maybe fortunately, the English translations did not satisfy me. Every translation had strengths and weaknesses. Some are hard to read. Some use Biblical English. Some are thin in meaning. Some have the translators personal words inserted in them. I dreamed about translating the Quran for many years. The translation I wanted would be clear, easy to read, in modern English, and closely follows the Arabic text. Soon my dream became a goal. It took me four years behind my laptop. I would wake up at 4 AM, every day, and work on the translation. I would translate, and re-translate, until I was completely satisfied. Everything was very important: sentence structure, choice of words, flow, punctuation, accuracy, clarity, ease of use, closeness to the Arabic. The new translation should be good for a scholar to read, and good for a prison inmate to read. Most importantly, it should be good for my 19-year-old daughter to read. Sometimes I wonder if I translated the Quran only so that my family members would read the Quran. I worked on my own. My wife provided a calm and serene home. 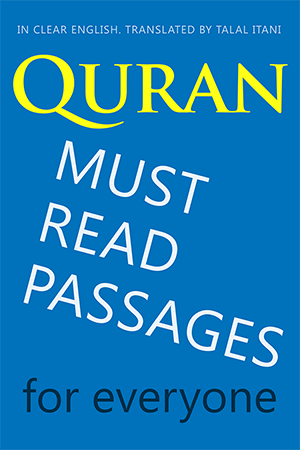 I published it on May of 2012 at (ClearQuran.com). Since then millions of individuals have visited the website and benefited from the translation. I am happy to say that I receive only positive feedback. I chose not to copyright the translation, but to provide it under the Creative Commons License. Currently I spend my days developing software, studying the Quran, and conveying the Quran to others. I also published multiple other Quran websites and apps. 1. When the sun is rolled up. 2. When the stars are dimmed. 3. When the mountains are set in motion. 4. When the relationships are suspended. 5. When the beasts are gathered. 6. When the oceans are set aflame. 7. When the souls are paired. 10. When the records are made public. 11. When the sky is peeled away. 12. When the Fire is set ablaze. 13. When Paradise is brought near. 14. Each soul will know what it has readied. 15. I swear by the galaxies. 16. Precisely running their courses. 17. And by the night as it recedes. 18. And by the morn as it breathes. 19. This is the speech of a noble messenger. 20. Endowed with power, eminent with the Lord of the Throne. 22. Your friend is not possessed. 23. He saw him on the luminous horizon. 24. And He does not withhold knowledge of the Unseen. 25. And it is not the word of an accursed devil. 26. So where are you heading? 27. It is only a Reminder to all mankind. 28. To whoever of you wills to go straight. 29. But you cannot will, unless God wills—The Lord of the Worlds.